What if you have the backwaters of Venice, the green fields of country Europe and all things of nature’s fancy right at one place? Well it would make an incredible tourist location. 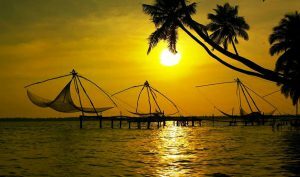 Kumbalangi is a village in central Kerala close to the port town of Cochin. She has a vast stretch of backwaters connected by interlocking waterways to the whole of Kerala. It is an ideal getaway location for tourists from all over the world. What makes it more interesting to visit Kumbalangi is that it is a virgin landscape unspoiled by excessive presence of tourists. Here you will find the calm, quite and tranquil landscape with warm inhabitants who depend on nature for their survival. A day in Kumbalangi can be a festival to remember; a treat for the eyes and the mind. 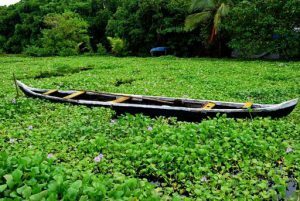 Kumbalangi is rich with exotic local cuisines, boat building and masonry, manually operated coir looms, fish farms etc.